This is a sponsored post written by me on behalf of A.C. Moore. All opinions are 100% mine. 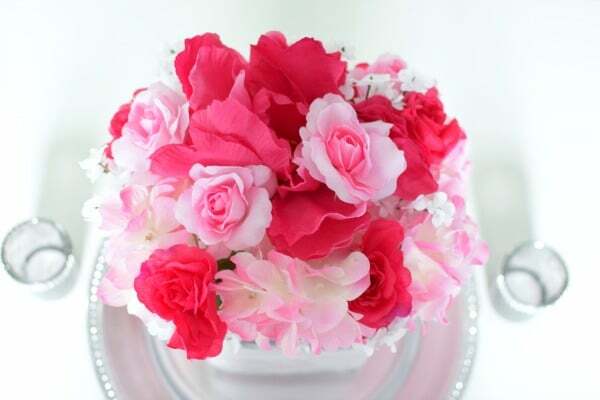 Are you looking for gorgeous wedding centerpieces that you can make yourself? Check out these Easy DIY Wedding Centerpieces! Everyone knows that weddings can be expensive. Adding up the costs for the venue, food, bar, DJ, photographer, dress, decorations, etc. will have anyone’s head spinning. Wedding costs add up quickly, but don’t get discouraged. There are ways to save! One way to save big is on your centerpieces. With a little creativity and Nicole Forever Yours at A.C. Moore, you can save money on your wedding centerpieces without compromising on style. You will have so much fun creating your table decorations and bringing your wedding vision to life. Your wedding guests will love your wedding table decorations and the style you’ve set for your wedding. No need to worry about being an expert wedding planner. 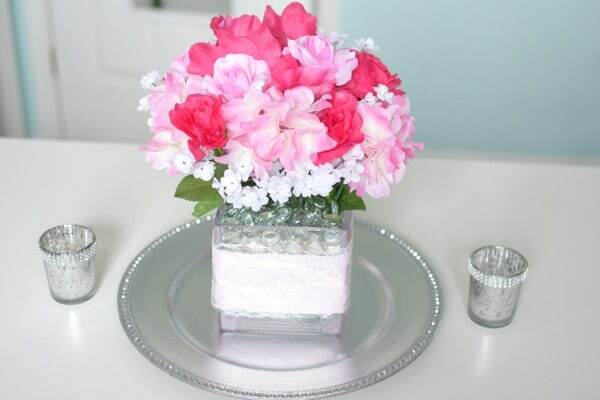 Anyone can pull off these beautiful DIY wedding centerpieces for their wedding. Guests will think you hired a professional wedding planner! Nicole Forever Yours has a great selection of products for your wedding and when you pair them with other items from A.C. Moore, your dream wedding is right at your fingertips! Nicole Forever Yours wedding products are only available in A.C. Moore stores, so you can get everything you need for your big day in one place. A.C. Moore recently partnered with Create and Craft to bring you the A.C. Moore Hour, airing every Wednesday at 11 a.m. Eastern time! Now you can tune in to your TV and regularly get great craft ideas, including ideas for your wedding. You can watch Create and Craft on DISH Network or stream online at createandcraft.com. They will be offering incredible deals on Nicole merchandise, available exclusively from A.C. Moore. The shows will feature expert crafters demonstrating techniques and creating original content, with all products available online or by phone. So, if you’re looking for great craft ideas for your wedding, A.C. Moore Hour is the perfect place to start. Here, we show you how easy it is to create centerpieces using Nicole Forever Yours products from A.C. Moore. 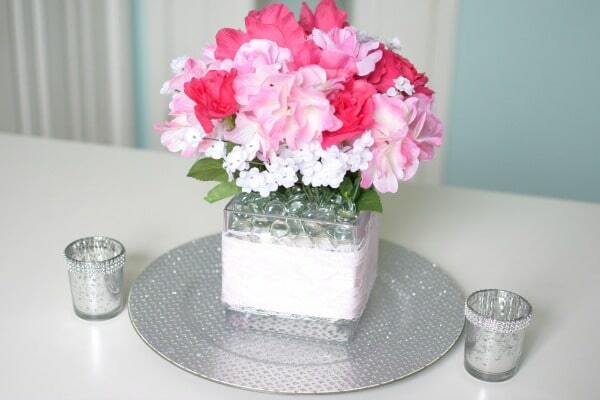 This DIY wedding centerpiece is perfect for a glamorous silver and pink wedding on a budget. 1. 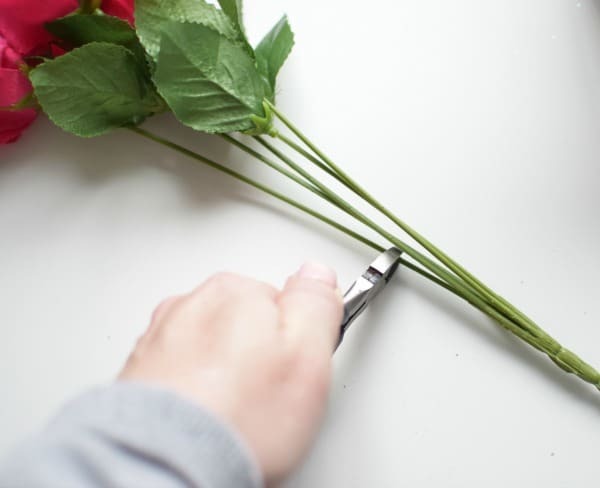 First measure and cut the light pink ribbon to place around your vase. 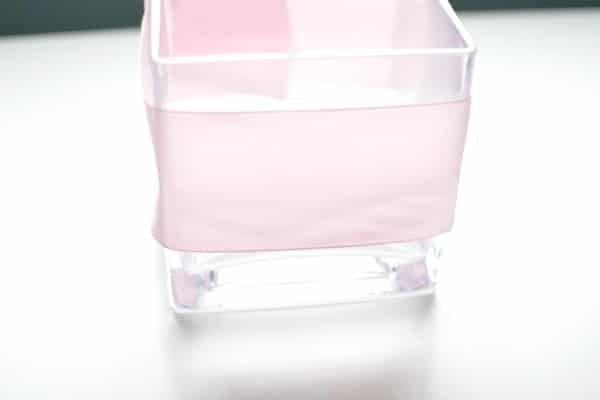 Then you will take your light pink ribbon and wrap it around the glass vase, making sure it’s in the middle of the vase. 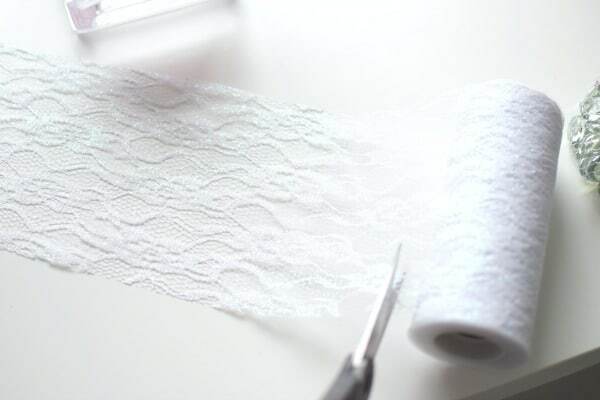 Secure the ends of the ribbon with glue. 2. 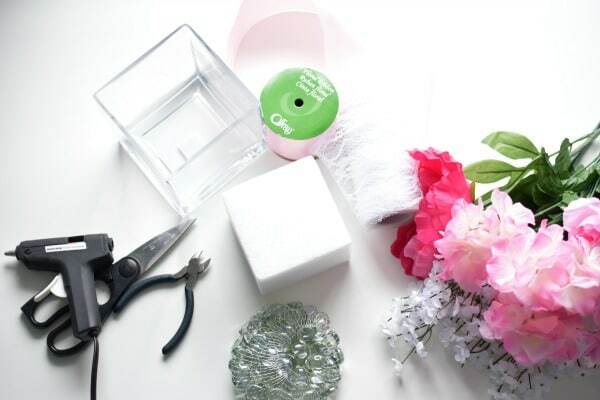 Next, measure and cut your white lace ribbon to fit around your vase. The white lace ribbon will go over the light pink ribbon. 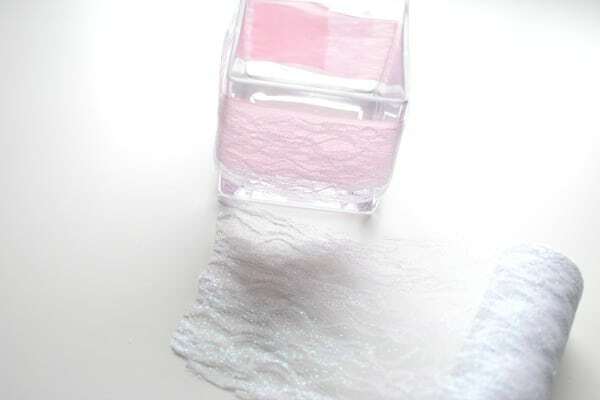 Place the white lace ribbon over the pink ribbon and secure with hot glue. You can also glam it up and put a crystal brooch in the center of the ribbon on the vase. 3. 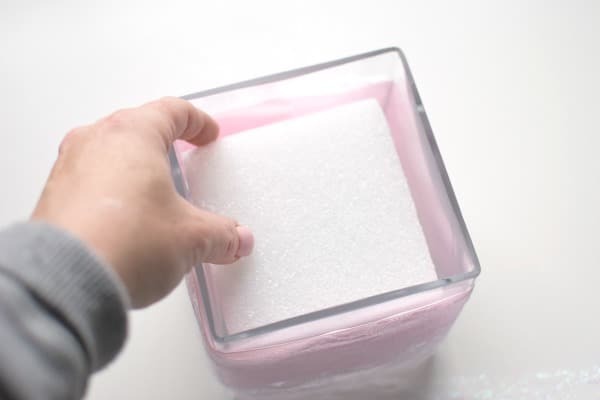 Next, add the floral foam to glass vase. 4. Then add your filler beads. 5. The stems were a bit too long, so I cut them down with wire cutters so it would be easier to make the flower arrangement. 6. 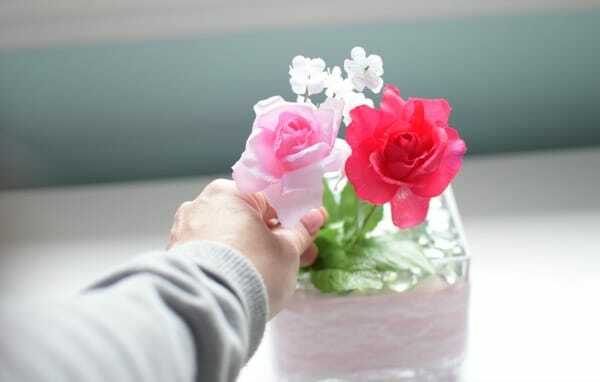 Add the flowers by placing stems into the floral foam. Start outside first then work your way toward the middle. Add a few larger flowers as focal points. Create height with taller stems. Fill in any remaining holes. 7. You can then place your flower arrangement on a silver crystal charger plate and place it in the center of your wedding table. Add two silver candles on each side of your centerpiece to finish your table decorations. Now that you have your wedding centerpieces created, it’s time to set up your wedding table decorations. Whether you’re doing a sweetheart table, round tables or long tables, this set up will look fabulous and give your wedding reception the perfect understated elegance. First, lay your table cloth. Then place your table runner down the center of your table. Next, add your floral centerpieces to the middle of the table. Add small candles around your centerpiece. Next, place your chargers at each place setting. Add your folded napkin under your charger plate. Place your fork on the left of your charger and the spoon and knife to the right of your charger. The spoon should be on the outside and your knife closest to your plate. Lastly, add your wedding favor on top of your charger plate and your wedding table is complete. Your guests will love your glamorous DIY wedding centerpieces and wedding tables so much that they will think you hire a professional wedding designer! Cheers to your wedding! 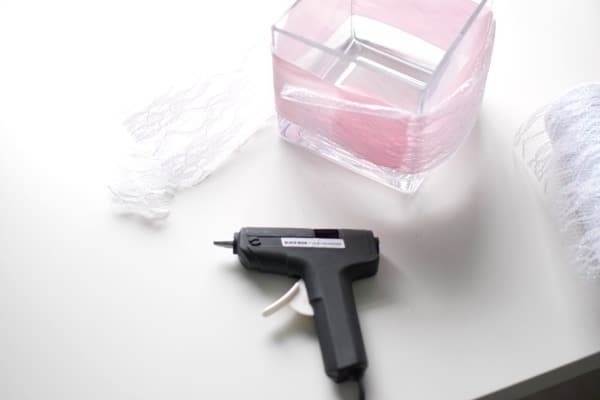 I have to say when I see a post that involves a glue gun i get shamelessly excited! 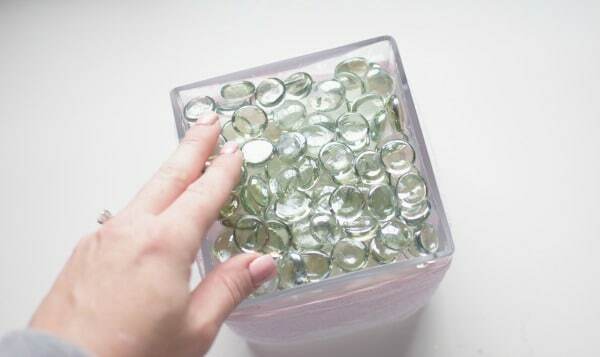 I’m trying to DIY as much of my wedding as possible, and this idea looks lovely! thanks so much for sharing!